Do you want your employees to be more engaged and invested in your business? When staff feel that they are an active part of an organization or company, it impacts productivity and overall morale, both of which can favorably impact your bottom-line. The leader sets the tone. Start with a leader that serves as both a role model as well as a compassionate and patient supervisor. These are the people that determine the company culture, which has a lot to do with whether you retain valuable staff. Choose leadership that embraces the unique talents of the team while also motivating the staff to be their best. Adopt employee-friendly values. Think about company values that could make a difference on your staff: supporting continuing education, affiliated causes and charities, and how performance is measured. Do something for those that make your company great. Provide prompt performance reviews. The leader of the organization should make time to provide feedback in a prompt manner. Offer objectives, performance, goals, and tips to help them prosper within the company. This open and honest communication also helps to set a tone for the workplace that is professional and refreshing. Give your team the chance to shine. Another key to engaging staff in the company is how you handle talent management. Help current staff develop skills and grow into opportunities before hiring from outside. Most employees want to believe that they have room for growth at work and will do their best to shine if given the chance. Preserve a future with the company. Be flexible to move forward with the times and share what is going on with the company with the staff. Brainstorm and keep things fresh with the input of your team, and this conscientiousness will provide a reassurance that the company has a future, and that the individual has a place for the long-haul. Provide positive reinforcement. Always provide positive reinforcement regularly to your team. A little bit of kindness, a reward, or compensation goes a long way in overall workplace morale and enthusiasm. Treat the team to lunch! Acknowledge each contribution. Even those staffers that are satisfied in the roles that they have need feedback about their contribution to the company. Clarify goals and expectations, while offering opportunities to learn, excel, and grow whenever possible. A team member or employee that is feeling vested in a company will give you their best. 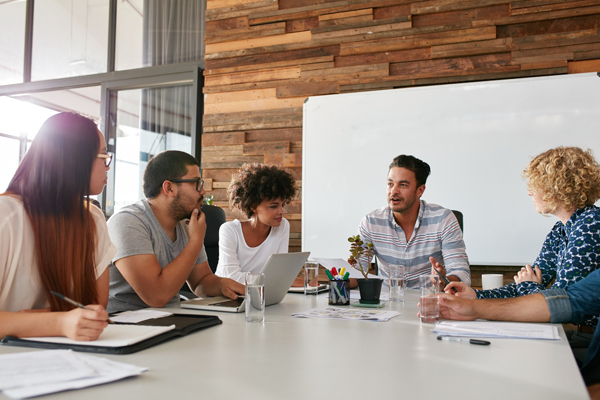 Use these tips for creating solidarity and fostering teamwork among your team, which can make a positive impact on overall revenues. Talk to the human capital management BI tool professionals at DataTerrain, a software company offering business intelligence reporting conversion and migration services with BI tool migration and expertise with HCM Fusion. Get your employees invested and engaged with the future of your business and learn more about how Oracle Fusion HCM may help your company grow and prosper. Contact us here.